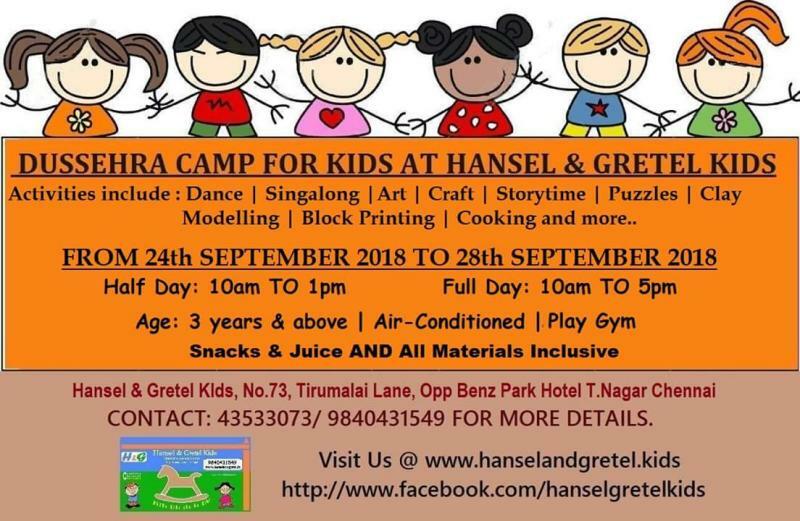 Hansel and Gretel kids will conduct Dussera Camp for kids having early holidays. Activities will include Dance, Sing along, Story time, Clay modeling, Block printing, Craft, Art, Fireless cooking, puzzles and games. From 24the Sep to 28th Sep (Mon to Fri) for 3 years and above.